Do your child’s prior juvenile crimes act as strikes towards CA’s three strikes law? In order for your prior juvenile felony conviction to act as a strike on your criminal record, you must have been 16 years or older at the time of the offense. This means you must have been 16 years or older at the time you committed the act giving rise to the conviction, rather than at the time you were actually convicted or adjudged a ward of the court. If you were under 16 years of age at the time you committed the offense, but were later convicted of the crime when you were 16 years or older, the conviction cannot count as a strike because you were younger than the statutory age requirement at the time offense was committed. Your prior juvenile conviction can act as a strike if it considered a serious or violent felony offense as listed under California Penal Code sections 1192.7 or 667.5. These offenses can range from assault with a deadly weapon to murder. As long as the offense could have counted as a strike if you were convicted as an adult, it will likely be sufficient to act as a strike on your record. In order for your juvenile conviction to act as a strike, you must have been found to be a fit and proper subject to be dealt with in juvenile court. According to California Welfare and Institutions Code section 602, you are considered under the jurisdiction of the juvenile court and may be adjudged a ward if you were less than 18 years of age at the time you violated any state or federal law other than a curfew ordinance. Our lawyers are up to date on all aspects of California law. The court will make the determination of whether you are a fit and proper subject to be dealt with under the juvenile court’s jurisdiction based on any combination of these factors. If it is determined that you are not a fit and proper subject for the juvenile court, you will likely be tried as an adult. Robbery is one of the many offenses listed under section 707 of the CA Welfare and Institutions Code. If you have a prior juvenile crime conviction on your record, it is important to understand whether or not it can act as a strike under California’s Three Strikes Law. 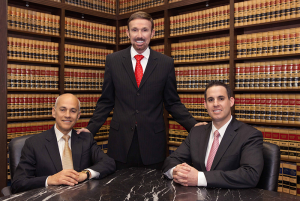 At Wallin & Klarich, our attorneys have over 30 years of experience in handling both juvenile and adult criminal cases and are well prepared to provide you with the best representation possible. With offices in Orange County, Los Angeles, San Diego, San Bernardino, Riverside, Ventura and Victorville, we have helped a wide range of clients secure the best possible outcome when facing prosecution under California’s Three Strikes Law. Call our talented and professional defense attorneys today at (877) 4-NO-JAIL. We will be there when you call.